Spot Fake Air Max 90 | iSpotFake. Do you? We already adviced how can you tell if your Nike Air Max 90 shoes are real or fake. 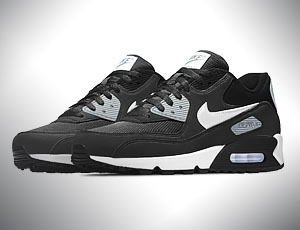 Now we are going to study two pairs of the classic style Air Max 90. One pair is real and made by Nike, the other is a Nike Air Max 90 counterfeit: 100% fake. How can you spot the fake Air Max? What are some of the differences in the real shoe vs. the fake shoe?